I just ventured into Sephora with no idea as to what to pick next and kind of wandered not knowing which brand to try. I wanted DIOR's foundation, but I felt that it would be a bit too much for ordinary days and who would spend so much for regular wear? 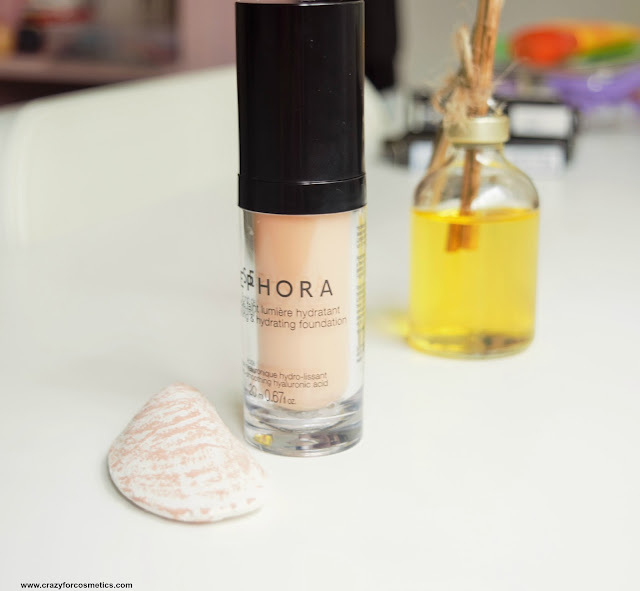 Hence, I decided to try Sephora's foundation and asked the SA to help me with a foundation that gave an average coverage and also made my skin hydrated. She recommended the Brightening & Hydrating Range & tried on some shades on me that had yellow undertones. I was quite skeptical looking at the shade range but however, she did manage to find the right one for me. Achieve an even and comfortable coverage with this foundation. Upon application, it reduces the appearance of blemishes, lines and dark circles. The nourishing formula instantly brightens and smoothens your skin. It leaves your skin suppler to create a translucent appearance. 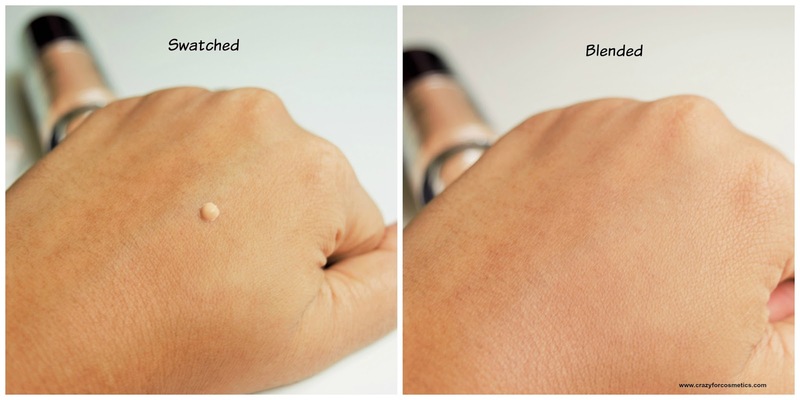 Apply a small amount of foundation onto the back of your hand. Pick up product with the tip of your foundation brush. 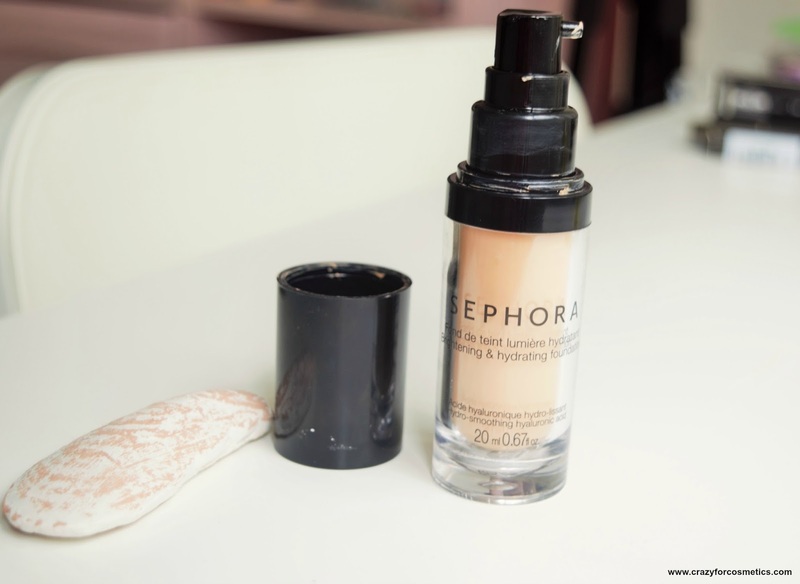 Dab the foundation on your face using small, light strokes. Working in small circles or upward motions, start blending from the nose towards the cheeks, chin, and forehead. Do not forget to cover dark areas such as skin around the nose and the mouth. Ensure that face and neck are evenly shaded. The Sephora brightening & hydrating foundation comes with a pump dispenser which makes things a lot easier than the normal bottle packaging. You can take out how much ever you desire and not wonder what to do with the excess , as is the case with the normal bottle type. The foundation bottle is transparent , so if you have 2 shades it becomes easier to spot the one you need. The foundation has no strong smell which is just amazing and you will not feel as though you have something heavy on your face. 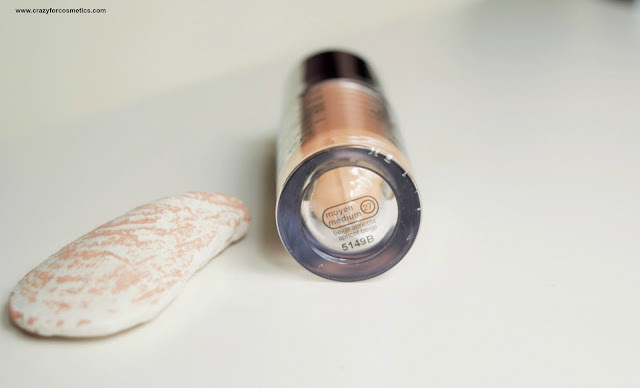 The texture of the foundation is quite creamy and blending it is so easy that you can probably use just your fingers to blend it. In fact, I just dot the foundation on my face and blend it using my fingers because the warmth helps to blend it better. It is so lightweight that you will hardly feel as though you have worn any foundation on your skin and your skin would thank you for that. 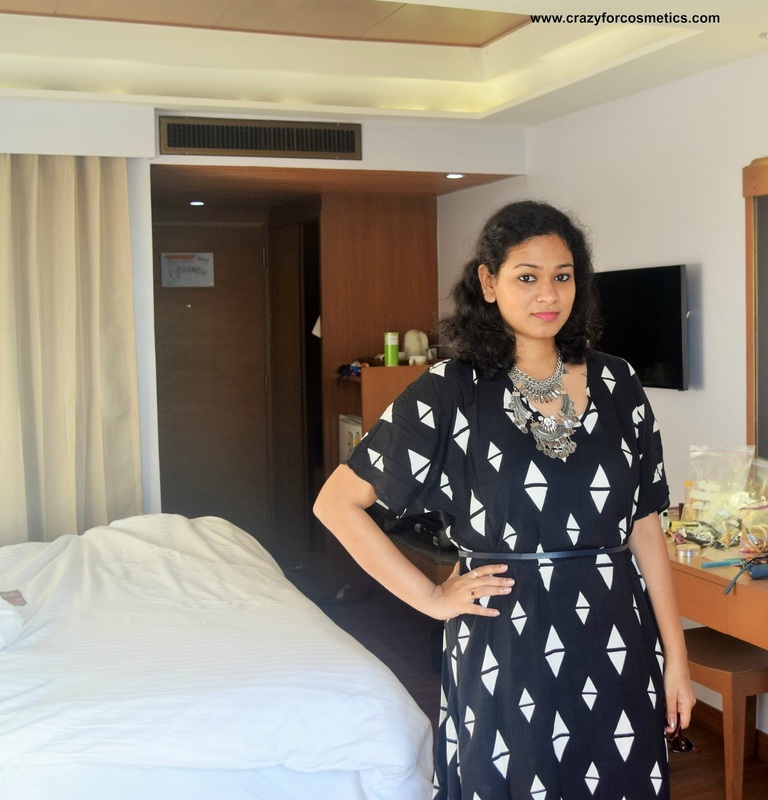 The foundation does not provide full coverage and you might need 2 applications to achieve a flawless base. However, I just use one layer so that it looks more natural with little flaws still left uncovered. 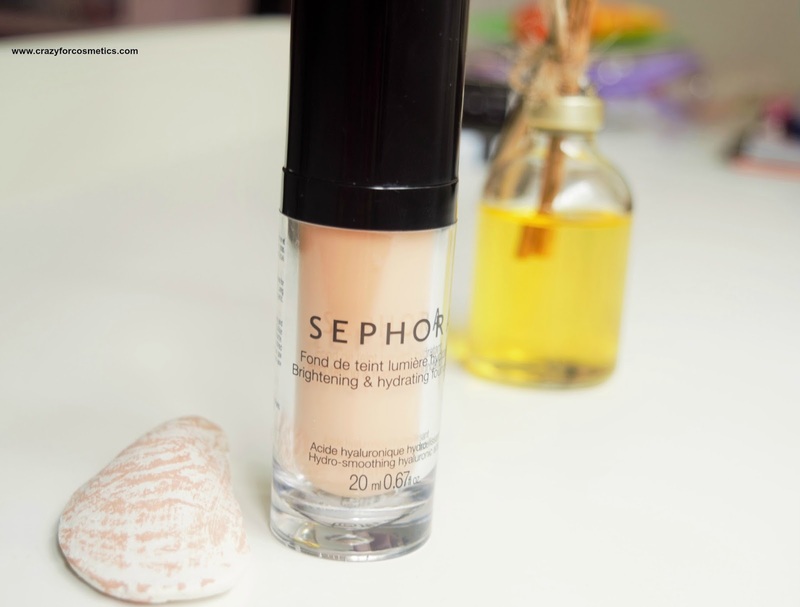 Those of you having dark under eyes might need additional concealing because this might not be able to cover it up like those high end or full coverage ones.The Sephora Brightening & Hydrating foundation gives a very subtle glow to the skin and does not dry out your skin even when used for the whole day. The shade that I am using is Medium and it matches my medium to fair ,yellow undertone skin tone. I was using NC 40 in MAC and I feel that Sephora 's Medium is doing justice to my Indian skin tone and does not look garish on me. Another big advantage of using this foundation is that it does not have SPF and will look good under the flash. 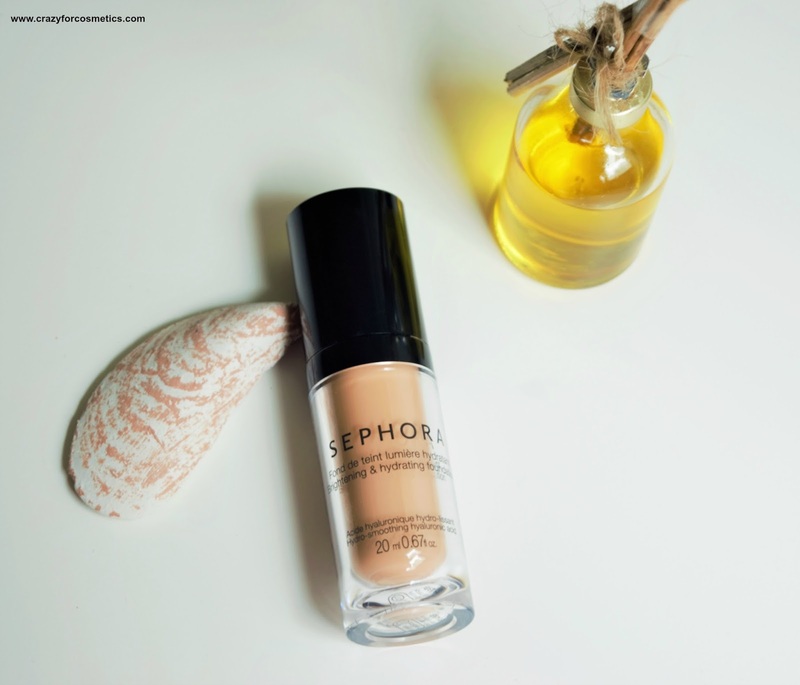 I used this foundation during my recent beach vacation and I felt totally comfortable wearing it for the whole day in the hot sun. The foundation did not oxidize nor it did cause any breakouts ,which was such a blessing. We had whole day tours to various places and I was worried that due to the excess sweat, I might end up getting breakouts but fortunately, it was so lightweight that it kept my skin really fresh.I also added a bit of liquid highlighter because I wanted that golden glow during my beach vacation and my face still did not get oily. 2 : Those with lots of pigmentation must avoid this. 3 : No brightening effect.